Henry Red Cloud wants to protect the generations to come. For the Oglala Lakota Sioux tribe, the sun is more than a source of energy. 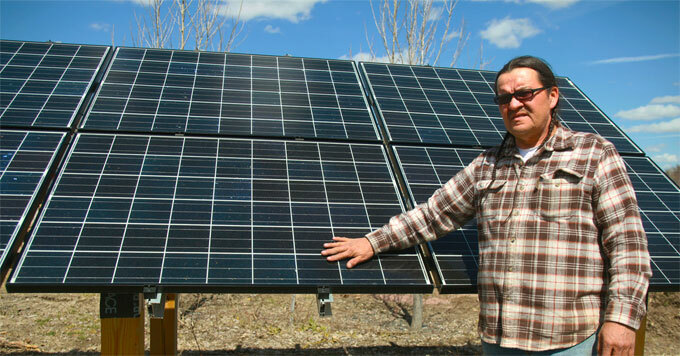 Henry Red Cloud is the founder of Lakota Solar Enterprises. The company manufactures and installs solar-powered furnaces for Native American families on reservations across the Great Plains. When tribes outside the region expressed an interest in learning about his solar furnaces, Red Cloud partnered with a non-profit called Trees, Water & People to create the Red Cloud Renewable Energy Center. It opened a decade ago and taught people about the furnaces produced by Red Cloud’s company. But it has since expanded to include workshops on a wide range of renewable energy and energy efficiency topics. Each workshop is designed to provide tribal members with knowledge and skills to help their communities move toward energy independence.